BT warned that a disorderly Brexit could hit business and consumer confidence but said it is too early to predict the extent of the impact, as it posted a double-digit increase in profits. 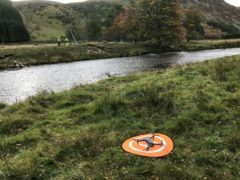 More than 220 trainee engineers will be hired across Scotland as part of a drive to improve fibre broadband connections. 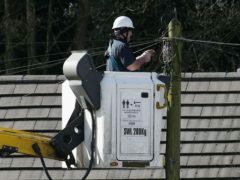 More than 3,000 workers across Scotland are to be part of the “largest one-off people transfer in UK corporate history” as Openreach Limited moves from BT Group to become a separate business. Temporary parking restrictions will be put in place on an Aberdeen road. A crowdfunding appeal has helped bring superfast broadband to part of a North-east village. Residents at a new housing development have had their calls for phone lines answered five months after moving in. 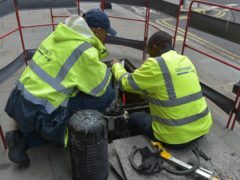 Parking on part of a city road will be prohibited for five days next week for broadband works. Residents of a new Aberdeenshire housing development have been left without phones – because they can’t agree whose job it is to connect them. An Aberdeen suburb will finally have access to superfast broadband internet after several months’ wait. An Aberdeen city centre street is set to close for four days next week. AROUND 300 homes and businesses across Aberdeen were still without phone and internet today, days after the storms which brought chaos to the North-east.